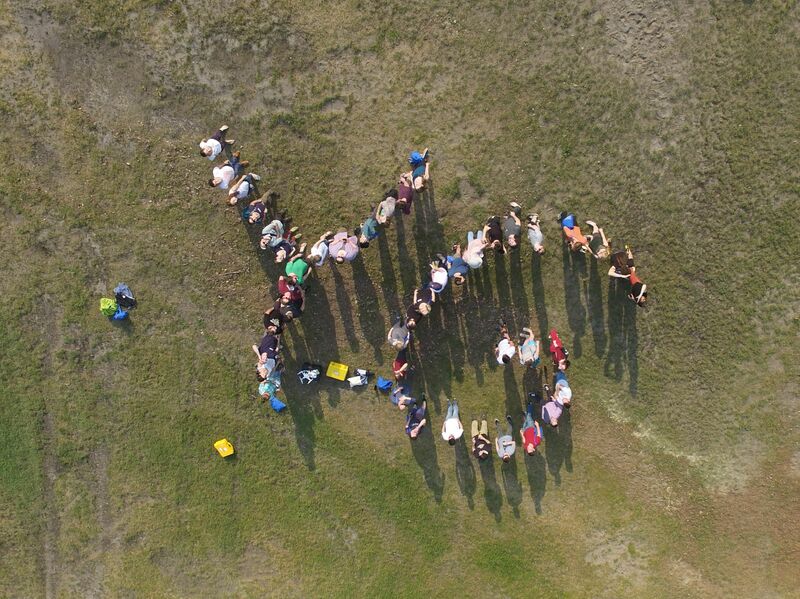 This year, we invite all interested young researchers / students in geomorphology and related fields to join the 13th international Young Geomorphologists‘ workshop at Wolfshausen, Germany, held from 17th-19th May 2019. The venue is located ca. 1/2 hour from Gießen. 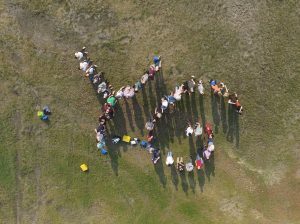 In a mixture of oral presentations, posters, a keynote and a short fieldtrip, we will have the opportunity to discuss in an open and informal environment. The workshop fee will probably be ~35 € for full board. Please find more information on the meeting in the flyer. The registration for the workshop is now open. Download the registration form now! 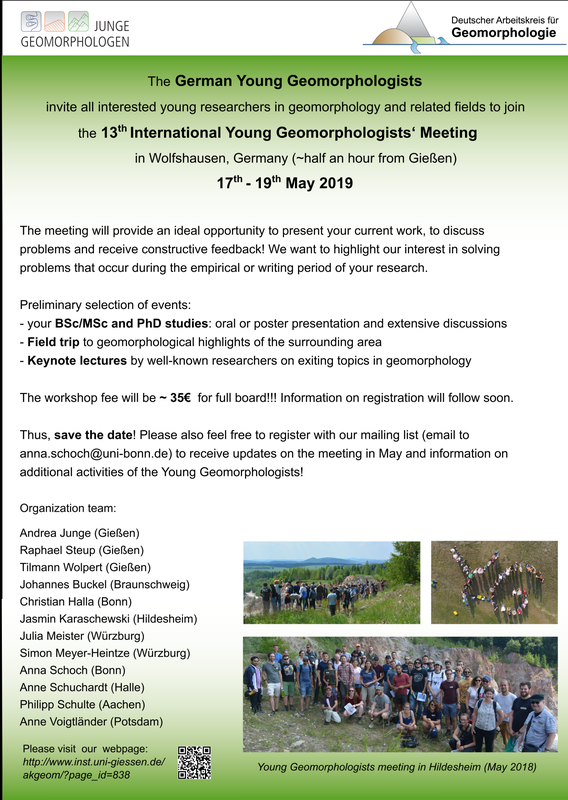 Please also feel free to register with our mailing list (email to anna.schoch@uni-bonn.de) to receive updates on the meeting in May and on additional activities of the Young Geomorphologists!